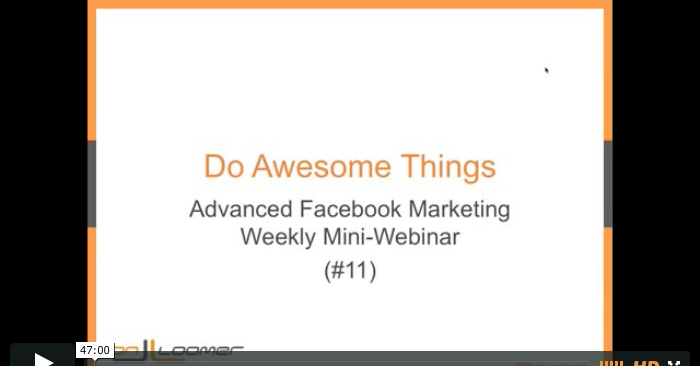 Every week, I conduct a free mini-webinar to catch you up on everything that’s happening in the world of advanced Facebook marketing. These webinars are informal and last between 30-45 minutes. For the first 15 minutes, I cover the things I’m seeing. For the remainder of the time, I open the floor to answer your questions. Normally, the webinars themselves and the replays are only available to subscribers (it’s free, by the way!). But I wanted to give you a sneak peek at what you’re missing. Not registered? Go here so to make sure you don’t miss next week’s webinar!